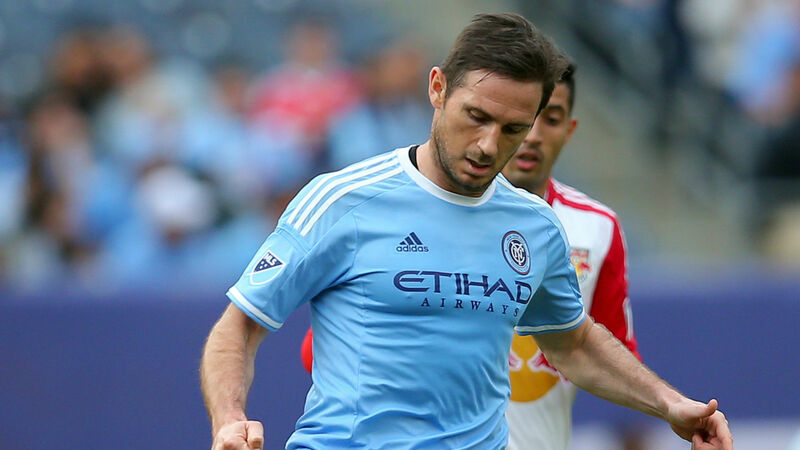 Frank Lampard has no plans to retire, adamant that he does not want to feel that he "should have stayed a bit longer" after eventually calling it a day. The 38-year-old left New York City FC when his contract expired, having led Patrick Vieira's side to the Eastern Conference semi-finals where they were eliminated 7-0 by Toronto FC in the play-offs. Lampard's counterpart at LA Galaxy, Steven Gerrard, hung up his boots last November and rejoined Liverpool this month, where he was appointed as a youth coach. However, the Chelsea legend has no intention of following in his former Liverpool rival's footsteps yet in order to avoid regrets in the future and confirmed that he has had offers to return to the Premier League. "Stevie made up his mind and was comfortable finishing the way he did," he told the Daily Mail. "I wasn't sure. I loved being in America. "It was a great experience. People will be drawn to China because of the money but the lifestyle, everything about America, I couldn't recommend it enough. "I always wanted to play abroad. I had a chance to go to Italy when I was younger and that would have been tough because of the language. America is easier but I really loved it. "But in terms of not retiring? I don't want to leave and think to myself: 'Maybe I should have stayed a bit longer'. I'm dwelling on it. I have turned down a few Premier League offers. "But the fact is, after being at Chelsea for so long and a year with Manchester City, I don't want to get involved in a relegation dogfight. "I don't mind challenges but there comes a point when you have to take stock. I understand my weaknesses. It's late January now and to try and get fit and then get into a team and make a massive impact... I don't feel I could give enough. "I just want to make sure I make the right decision. I've appreciated getting options at 38. If something comes along that floats my boat, who knows? But nothing has, so we will see." Asked if he would consider joining the staff at Chelsea - the club for whom he made over 600 appearances - in some capacity, Lampard indicated that it would be a dream and confirmed that he would like to continue working in football. "In an ideal world, yes," he contined, "but I don't think that's reality. I have to think about myself. I'm finally going to start my coaching badges next week at B level. "The FA are trying to help; [FA technical director] Dan Ashworth has been in touch. I know he's also helping Stevie. There are opportunities to make it a quicker process than it was before. That would be great. I'll be in football."